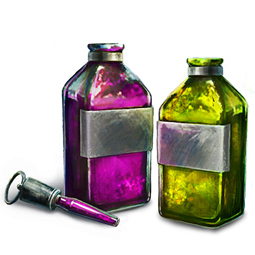 Guild Wars 2> News>Vibrant Dye Pack and Customer Appreciation Package in the Gem Store! Vibrant Dye Pack and Customer Appreciation Package in the Gem Store! Halloween is still going strong until November 8, but it’s looking a little grim around here, even for me. Let’s brighten things up. Our newest dye kit will give you one of twenty-five dyes, with a chance at six bold, exclusive colors. You’d better believe it: Black Lion Chests are better than ever. 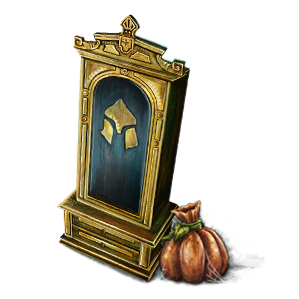 You won’t find boosters among your loot anymore, but you will find a rotating selection of rare and unusual items, along with guaranteed convenience and seasonal items in every chest. You’ll even be able to preview the goods. 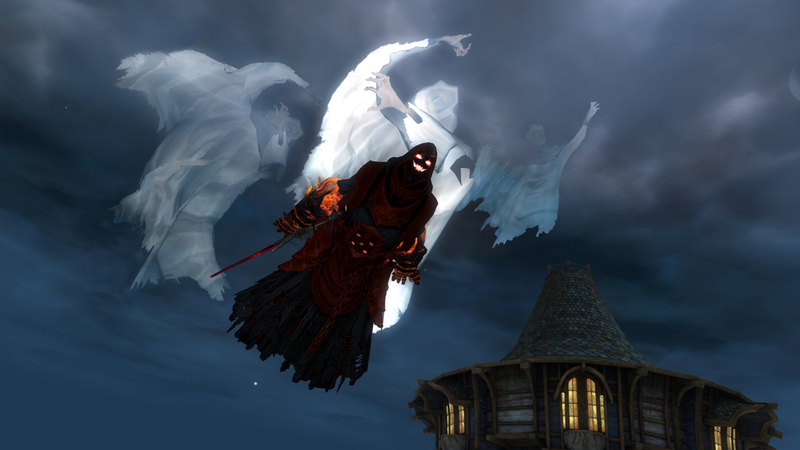 To start things off, the seasonal item will be Trick-or-Treat Bags, and there’s a chance to find the exclusive Grasping Phantom Glider in Black Lion Chests for a limited time. I’ve also cooked up a new Random Guaranteed Wardrobe Unlock, which will automatically unlock a random weapon, armor piece, backpack, outfit, dye, glider, miniature, or finisher in your wardrobe. I’ve got a pretty big list of looks this can open up for you, but I’m not in the business of giving away anything of Exotic quality or better. All of the Black Lion Trading Company’s pre-September stock is fair game, though. Want to take a look for yourself? Maguuma explorers and Tyrian veterans can pick up a Customer Appreciation Package containing a free Black Lion Key and Black Lion Chest through the store this week!